The HVAC business has been growing for some time now despite the slow economic recovery. According to recent research conducted by the United States Labour of Bureau department, the demand for the heating, ventilation and air conditioner mechanics is expected to increase by 34% between 2010 and 2020 which is much faster compared to the rate of growth of other industries. 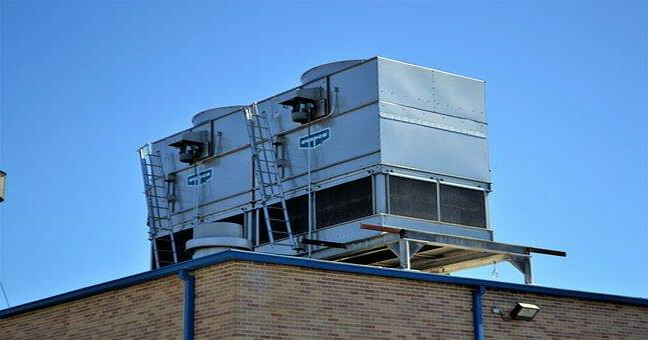 The HVAC businesses are known to maintain and repair the various types of air conditioning and heating equipments in office building, hotels, homes and schools that requires control of temperature. Here are some of the six main challenges most people owning the HVAC service businesses usually face. Taking a look at online listings or phone book will reveal to you dozens if not hundreds of air conditioning service companies in various cities. This field is known to be very crowded hence high level of competition. Any new Ac Service Houston company will definitely find it much more difficult to stand out from the crowd. There are companies which find it a niche by specializing. In case you do not have contacts or customers in a market, you will have to spend some good amount of money in your first year marketing and advertising. Individuals whose heating and air conditioning systems are not working properly can easily get impatient and grouchy especially during periods of extreme low and high temperatures. As with other services businesses, most of the people who work with the HVAC industry should be capable of handling difficult customers and complaints. You should also expect most of the customers to complain about the rates air conditioning service companies are able to command. Ensure you are always nice to people even when they are not nice to you. The air conditioning companies are known to be the busiest especially when the weather is very cold or very hot. The extreme temperatures are known to put more stress on equipments and can easily make the service calls more urgent. Most of the HVAC technicians are usually known to work on the roofs or in crawl spaces in cold and hot conditions. Definitely, your HVAC business will always encounter seasonal lows and highs hence, you will always need to manage your finances in order to take advantage of the time and flush times. The HVAC companies need to invest in top class and specialized equipments such as vans or tacks that will help in carrying the equipments and software for carrying out diagnostic testing and managing equipment controls. However, this will take you some steep investments in order to get started. As the business owner, you will also be responsible for the medical insurance, workers compensation insurance, payroll taxes and liability insurance which will add up to some significant costs. Several HVAC contractors are known to wait until it is last minute only to waste some money and irreplaceable time instead of deciding to adopt to change much earlier. However, willingness to change is usually determined by the attitude. Technology is known to change after some short time, different HVAC models are being developed after a short while and for the contractors to remain relevant in the ever competitive market, they have to frequently advance their knowledge in order to be in a position of handling the latest HVAC models. Majority of the HVAC business owners are known to be great technicians. Most of them usually feel that there is no one who can repair or troubleshoot problems better or faster than they can. The amount of income they make is usually limited to the amount of work they do. For example, they can rush parts to install a new system, run three service calls, complete an overdue proposal or take checks to a bank.